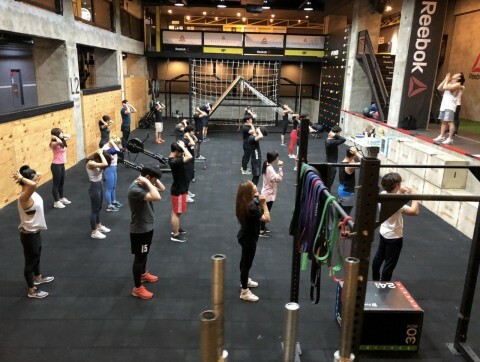 Allblanc, which develops Korean videos on social media, launched “Allblanc fit,” an advanced concept fitness program which grafted networking onto exercise for young adults in their 20s and 30s. SEOUL--(Korea Newswire) December 05, 2018 -- One of the big trends in offline fitness is that it is becoming an option for networking with fellow fitness enthusiasts. “Allblanc fit” is a group workout program in which one can choose a place to exercise and an exercise routine online to work out as a member of a team of eight men and eight women. It runs for four-to-seven week periods. On weekends, group training becomes intense and members can network with one another through diverse social interaction programs. Allblanc fit is called an SX (social exercise) program as it added socializing to an existing GX (group exercise) program. Allblanc fit is up and running at 10 fitness centers in Seoul. It is gaining popularity rapidly, attracting more than 2,000 members in 10 months after it was launched. Allblanc developed Allblanc fit, Korea’s first social exercise program, and runs “Allblanc fit TV,” one of the fastest-growing YouTube channels in Korea, gaining recognition as a healthcare IT company strong on social networking videos. AllBlanc has operated Korea’s first social exercise program “Allblanc fit” successfully at home, and plans to expand its market to the US and China in 2019, while extending its reach to other age groups. In 2019, it will exhibit an in-home fitness mirror and display in development in the CES in January and the MWC in February.